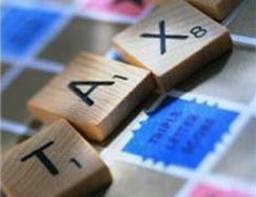 Offshore Holding Company – reduce your tax burden and protect your assets! In creating of the offshore company, offshore holding company structure is a model of more attractive particularly in terms of tax benefits. An offshore holding company is a company whose purpose is to hold shares of another offshore or onshore company, in order to control and manage it. It is a structure appropriate to recover dividends owned by companies with tax benefits arising therefrom. Furthermore, through an offshore holding company, you will have access to financial companies funding opportunities. In this case, the tax benefit may lie in the deduction of interest paid or non-taxation interest of income. Choice of the location is very important, when create a holding offshore company. Indeed, the tax conditions may vary from one law to another and one wrong decision can harm your investment. This choice should not depend exclusively only on tax benefits; the flexibility of the right of legislation is also to be considered. Many countries have very attractive tax regimes for the establishment of holding companies on their territory. Know that today all EU member states offer favourable tax regimes for the establishment of holding companies in their respective territories. These tax schemes provide in most cases the exemption of dividends from subsidiaries and gains on disposals of investments. The Netherlands has, for example, set up a system known as “participation exemption”. This scheme allows you to benefit from the exemption of dividends and capital gains on disposals of investments. The enthusiasm of investors in the Netherlands is due to the flexibility of the Dutch scheme. Luxembourg has a special regime for the benefit of holding companies under the law (July 1929), with a general exemption from corporate taxes. Luxembourg also has a system of financial companies, known as SOPARFI regime, allowing a tax exemption on perceptions of dividends or capital gains from disposals of equity. Belgium, meanwhile, adopted a tax system which excludes the taxable dividends from equity investments (up to 95% of their value), since they are manufactured by companies subject to normal taxation, and the exemption of disposals on gains of relevant securities. Finally, a few years ago, more precisely in 2002, the United Kingdom has established a system of exemption of capital gains on disposals of equity investments. Any company has the right to invest in a country that has not concluded a tax treaty with the country of residence. However, the fiscal conditions of such an investment can be detrimental. In this case, intermediary holding company may be established in a jurisdiction with double taxation and adapted with the two countries. Let’s take a concrete example: the case of Cyprus. This country has signed several Double Taxation agreements with the countries of the former USSR and the countries of Eastern Europe. That is why the Cyprus is one of the most popular destinations for investors. Contact us and find out whether the offshore company is that what you are looking for. – How to create an Offshore Company.